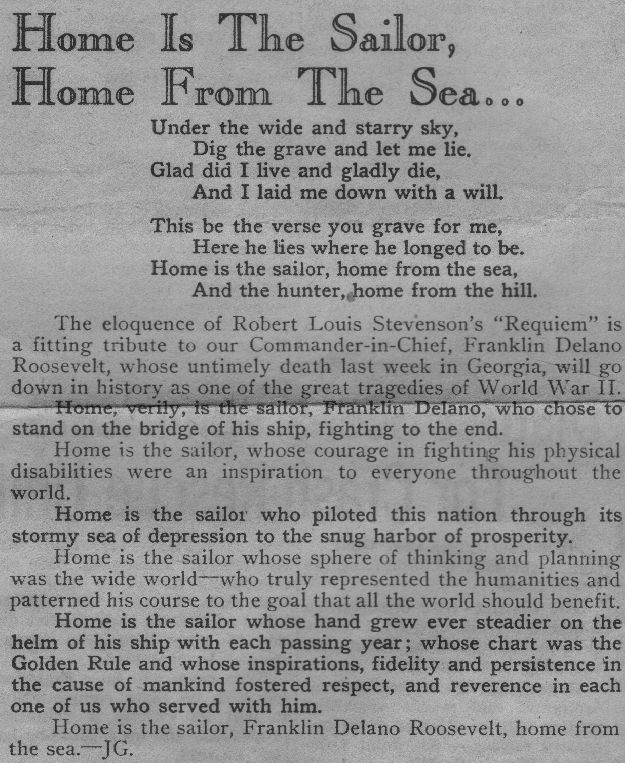 The eloquence of Robert Louis Stevenson's "Requiem" is a fitting tribute to our Commander-in-Chief, Franklin Delano Roosevelt, whose untimely death last week in Georgia, will go down in history as one of the great tragedies of World War II. Home, verily, is the sailor, Franklin Delano, who chose to stand on the bridge of his ship, fighting to the end. Home is the sailor, whose courage in fighting his physical disabilities were an inspiration to everyone throughout the world. Home is the sailor who piloted this nation through its stormy sea of depression to the snug harbor of prosperity. Home is the sailor whose sphere of thinking and planning was the wide world — who truly represented the humanities and patterned his course to the goal that all the world should benefit. Home is the sailor whose hand grew ever steadier on the helm of his ship with each passing year; whose chart was the Golden Rule and whose inspirations, fidelity and persistence in the cause of mankind fostered respect, and reverence in each one of us who served with him. Home is the sailor, Franklin Delano Roosevelt, home from the sea. — JG. 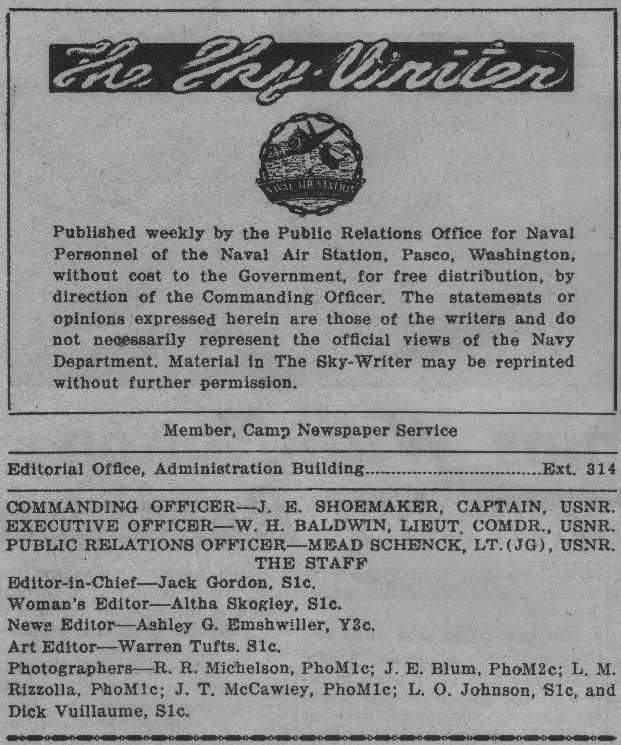 You can view the official Navy announcement of Roosevelt's death.